Hoodie with charcoal body and jade sleeves/waistband. 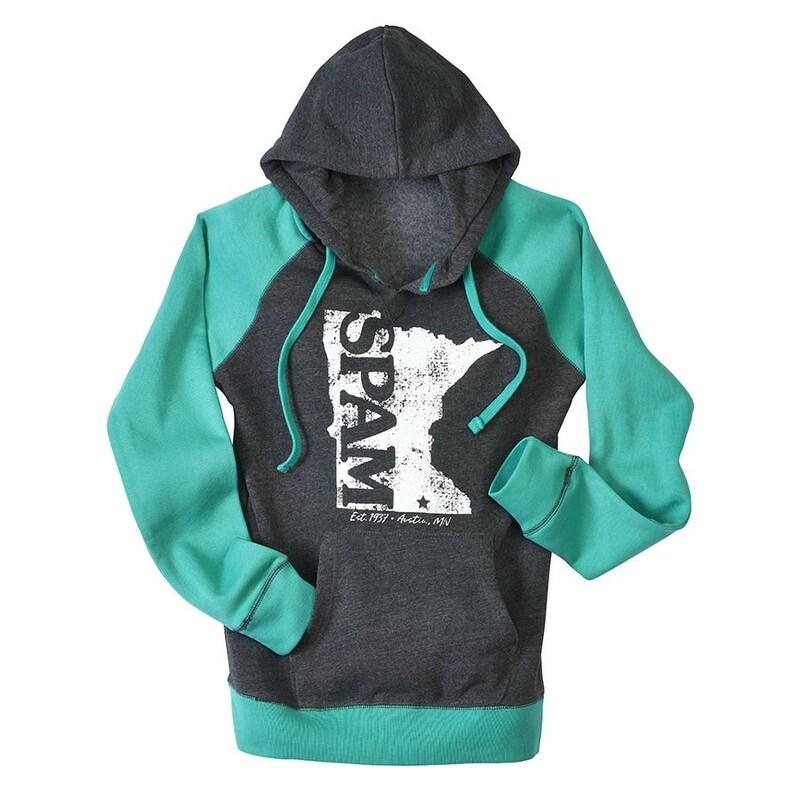 Distressed State of Minnesota shape with SPAM® Brand imprint. Available in ladies sizes S-XXL. Also see matching shorts G6162.